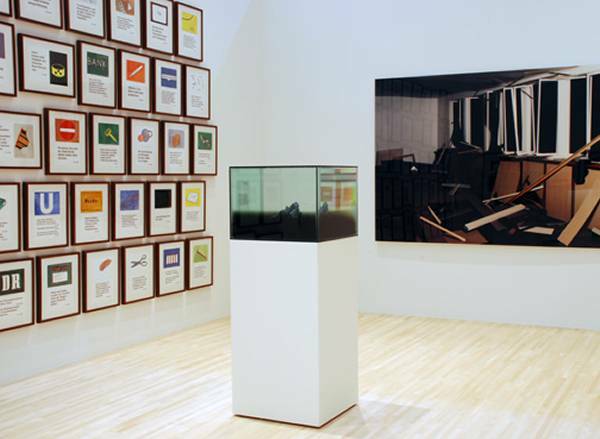 Three distinct exhibitions, Past in Reverse: Contemporary Art of East Asia, Reality Bites: Making Avant-garde Art in Post-Wall Germany, and Black Is, Black Ain’t, took place in three different locations in the US, respectively in 2004, 2007 and 2008. 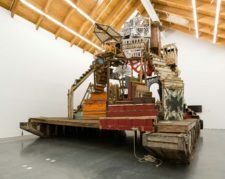 While at first glance, all three exhibitions seem to contend with issues of what might be broadly referred to as “identity,” each one is the result of a unique curatorial positioning and definition of identity. 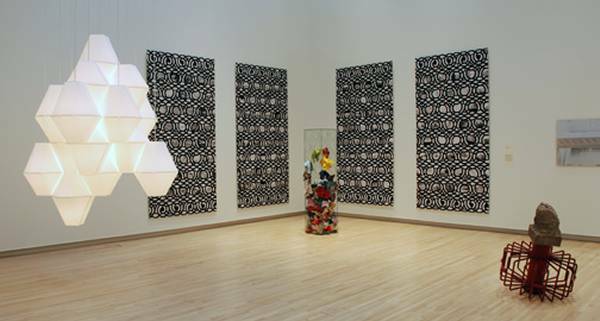 “The Past in Reverse: Contemporary Art of East Asia.” Installation view. Image courtesy of the Emily Hall Tremaine Foundation. 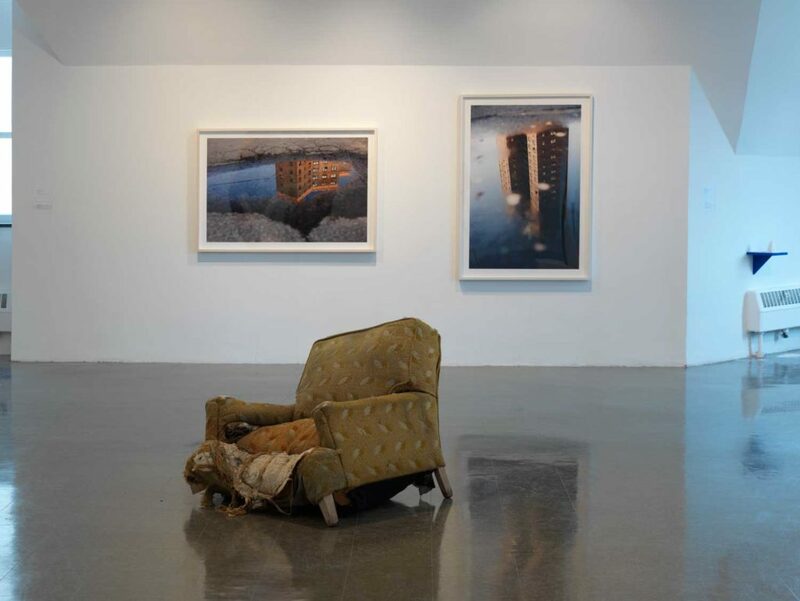 Past in Reverse presents contemporary work from artists living in a vast area constitutive of many countries, ethnicities and cultures (East Asia). Reality Bites is centered on the question of the avant-garde after a historical turning point, a new world order, and a collective psyche that, despite being rooted in the specific history of Germany, encompasses many cultures, ethnicities and politics. Black Is/Black Ain’t departs from an overzealous preoccupation with globalization to delve into the larger, but specific discourses of blackness and race at the dawn of what promised to be a new era of racial politics with Obama’s presidential candidacy in the United States. As we have witnessed, again, since November 2016, the more conservative politics and white supremacy prevail, the more the art world seems to be invested in questions of identity, as well as the place of culture and art production as sites of resistance. Looking back at these exhibitions more than a decade after their curation, it becomes poignantly relevant to ask: whose voice is being raised, and what echoes last beyond the four or eight year presidential cycles? Past in Reverse seems to be leaning towards a didacticism that, like the subtitle of the exhibition, is hinged on the proof of existence: of contemporary East Asian art. 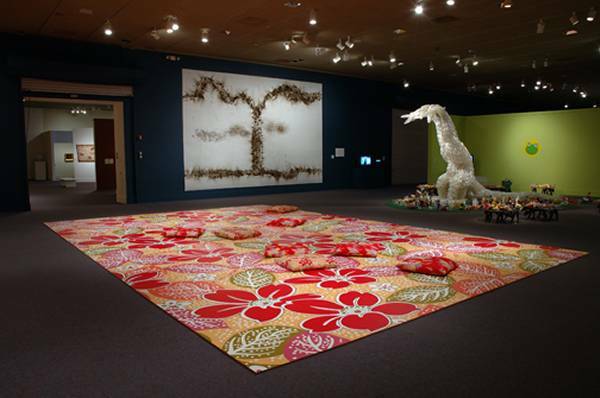 “Showcasing more than twenty important and cutting-edge Chinese, Japanese, Taiwanese, and Korean artists and artist groups, this exhibition presents the work of artists who skillfully use contemporary approaches to express their respective cultural and artistic heritages,”1 reads the exhibition’s description at the Kemper Museum of Art where the show travelled in 2005. 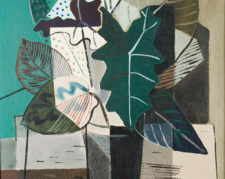 Resorting to word choices such as “cutting edge” or “most prominent” in describing the artists, the institution seems to give the American Museum goer an alternative to what they may encounter in many institutions’ permanent collections of “East Asian Art,” for example. But the contemporaneity of the artworks the exhibition claims to showcase, falls under the same museological categorization based on ‘region’ and ‘time.’ Instead of showing ancient artifacts, the works in the exhibition counter a “traditional past” through art that bears the marks and trends of “globalization.” The confluence of the seemingly opposing “contemporaneity” and “ancientness,” however is for lack of a better word, their curation for the Western gaze. 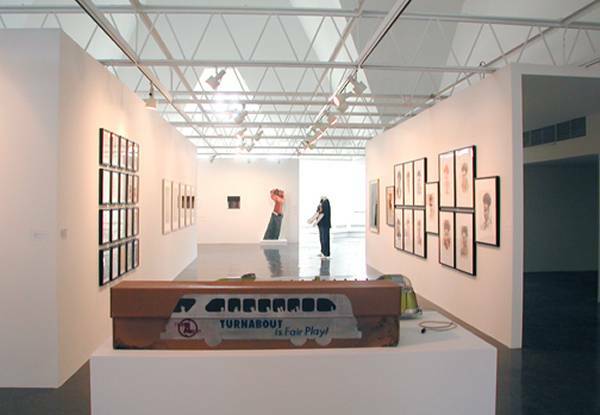 “Reality Bites: Making Avant-Garde Art in Post-wall Germany.” Installation view. Image courtesy Emily Hall Tremaine Foundation. 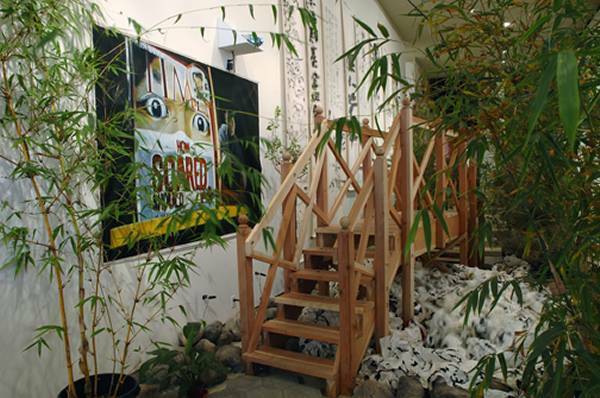 Reality Bites: Making Avant-garde Art in Post-Wall Germany, instead, centers identity on a collectivity that is defined by the way it grapples with the ideas of rupture and innovation in cultural production in Berlin, now Germany’s capital. “Ever changing, always in flux, and always transient,” writes Sabine Eckerman in her curatorial statement3, “Berlin presents itself as a hybrid site in which national and postnational identities, local and global elements, and past and present enter into unstable connections, forming ever-new relationships to a rapidly changing reality.”2 Looking at the roster of the artists in the exhibition, however, it falls short of reflecting the multiplicity of ethnic, racial and cultural backgrounds of an “ever-changing” metropolitan such as Berlin. Only one of the artists, Kutlug Ataman was born outside of Europe, while other immigrants and artists of color are completely absent from the conversation. With the exhibition’s focus on the question of the avant-garde, it becomes inevitably pressing to ask who is now a part of that response that was once reserved for majority of European white men. Black Is/Black Ain’t, instead of providing a subtitle, poses an ontological question. The title of the 2008 exhibit curated by Hamza Walker at the Renaissance Society is borrowed from Ralph Ellison’s 1952 novel, The Invisible Man, a reference with varying degrees of legibility for different audiences. “This exhibition surveys a moment in which race is retained yet is simultaneously rejected,” Walker writes in his curatorial statement. The exhibition includes works by majority of prominent black male artists including (William) Pope.L, Edgar Arceneaux and Glenn Ligon, as well as female black artists such as Elizabeth Axtman and Deborah Grant. But the more curious choice of artists such as Andres Serrano whose work Walker invokes as “resorting to disfiguration to deny easy recourse to the body as the locus of an essentialized self” indicates the exhibition is interested in some sort of syntax made possible by such juxtapositions. “Black Is, Black Ain’t.” Installation view. Image courtesy Emily Hall Tremaine Foundation. Revisiting these exhibitions in 2018, it feels like we are constantly watching ourselves watching history being made in repetition. Everything sounds too familiar: the idea of learning from the past to think about the future, looking at a colonial past to understand the current moment, and tracing the material effects of a violent past (fascism and Nazism) which have gained increasing traction in the recent years. Black Is/Black Ain’t, like the tense of its title, is unabashedly interested in a particular present in the US with no grandiose claims about the future. One can only wonder what a retrospective look at the art and exhibitions that are being produced in the current moment in the US will raise, a decade from now.